Shopping for a quality used Chrysler, Dodge, Jeep, Ram for sale near Sacramento? Look no further than the extensive inventory at John L Sullivan Dodge Chrysler Jeep Ram. We offer a wide selection of affordably priced used vehicles, including non-Chrysler, Dodge, Jeep, Ram brands. Because we perform a thorough inspection of every vehicle we receive, you can feel great about your purchase when you drive home to Woodland. Alpine White 2017 Jeep Renegade Latitude FWD 9-Speed 948TE Automatic 2.4L I4 MultiAir Recent Arrival! 22/30 City/Highway MPG Awards: * 2017 KBB.com 10 Coolest New Cars Under $18,000 * 2017 KBB.com 10 Best All-Wheel-Drive Vehicles Under $25,000 * 2017 KBB.com 10 Most Awarded Brands Prior Rental. Colorado Red 2017 Jeep Renegade Latitude FWD 9-Speed 948TE Automatic 2.4L I4 MultiAir Recent Arrival! 22/30 City/Highway MPG Awards: * 2017 KBB.com 10 Best All-Wheel-Drive Vehicles Under $25,000 * 2017 KBB.com 10 Coolest New Cars Under $18,000 * 2017 KBB.com 10 Most Awarded Brands Prior Rental. Deep Cherry Red Crystal 2012 Jeep Grand Cherokee Laredo RWD 5-Speed Automatic 3.6L V6 Flex Fuel 24V VVT Recent Arrival! Odometer is 20860 miles below market average! Vice White 2017 Dodge Journey Crossroad FWD 6-Speed Automatic 3.6L V6 24V VVT Recent Arrival! Prior Rental. 2017 Jeep Renegade Trailhawk 2.4L I4 MultiAir Anvil 4WD 9-Speed 948TE Automatic 4D Sport Utility *** Nobody can make you a deal like we can!! And that's a PROMISE!! *** 21/29 City/Highway MPG Awards: * 2017 KBB.com 10 Coolest New Cars Under $18,000 * 2017 KBB.com 10 Best All-Wheel-Drive Vehicles Under $25,000 * 2017 KBB.com 10 Most Awarded Brands Your #1 Chevrolet Certified Pre Owned Dealer in Northern California!! 300 Limited, 20" x 8.0" Polished Aluminum Wheels, 6 Speakers, Heated front seats, Heated rear seats, Leather w/Perforated Insert Bucket Seats, Prior Daily Rental, Radio: Uconnect 4C w/8.4" Display, Steering wheel memory, Steering wheel mounted audio controls, Ventilated front seats. 2018 Chrysler 300 Limited 3.6L 6-Cylinder SMPI DOHC Billet Silver Metallic Clearcoat RWD 8-Speed Automatic 4D Sedan *** Nobody can make you a deal like we can!! And that's a PROMISE!! *** 19/30 City/Highway MPG Your #1 Chevrolet Certified Pre Owned Dealer in Northern California!! Prices plus government fees and taxes, any finance charges, any document preparation charge (80.00), any electronic filing charge (15.00) and any emission testing charge are not included in the price of the vehicle. All prices and specifications are subject to change without notice. While great effort is made to ensure the accuracy of the information on this site, errors do occur so please verify information with a customer service rep. This is easily done by calling us at (855) 604-0413 or by visiting us at the dealership. Why Shop with John L Sullivan Dodge Chrysler Jeep Ram? When you’ve found a used model you love in our inventory, get in touch with our finance specialists who can help you secure a lease or loan. Have a new teen driver? Check out our convenient inventory of used vehicles priced under 10k. 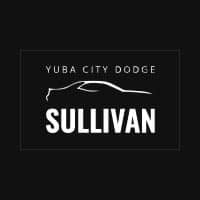 After finding a used vehicle you love at John L Sullivan Dodge Chrysler Jeep Ram, celebrate your money saved with dinner at a Yuba City restaurant.